(AP) Iran’s former hard-line President Mahmoud Ahmadinejad’s quest to return to the spotlight now includes weighing in on a spat between President Donald Trump and basketball star LeBron James. 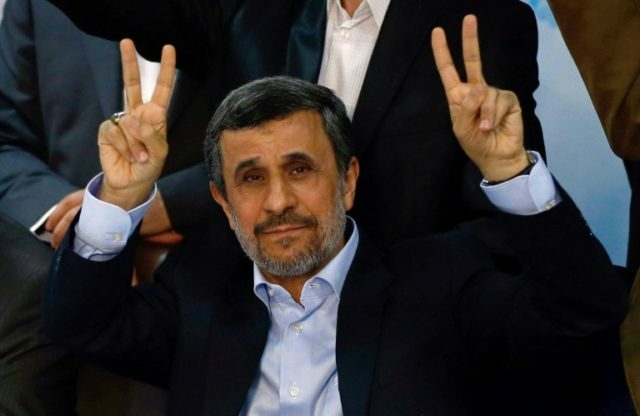 Ahmadinejad used Twitter — which is banned in Iran — to write Sunday: “In my opinion everyone especially a President should love all, and not differentiate between them.” He added that he loved NBA greats James and Michael Jordan, as well as former Denver Nuggets player Mahmoud Abdul-Rauf. Trump wrote a tweet Friday night questioning James’ intelligence after he gave an interview to CNN and criticized the American president. It’s not clear what prompted Ahmadinejad, who was blocked from running in last year’s presidential election. While president, he famously questioned the Holocaust and claimed there were no gays or lesbians in Iran.